Struggling to buy your first home in Ontario? 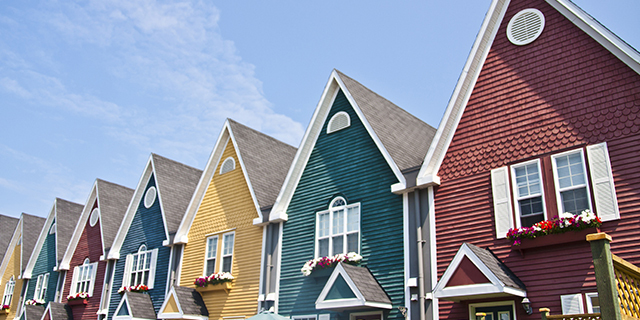 Just move to Nova Scotia where the government and Housing Nova Scotia just announced a new Down Payment Assistance Pilot Program for first-time buyers. $1.3 million is being invested in the program to give 100 to 125 Nova Scotians a chance to realize their dream of homeownership. To qualify, buyers must be pre-approved for an insured mortgage from an accredited lender and have a household income of $75,000 or lower. The program is designed for buyers that qualify to purchase but struggle to save for the down payment. Qualifying buyers receive an interest-free loan of up to 5% of the purchase price of a new or existing home, with the max price being $280,000 in Halifax Regional Municipality (HRM) and $150,000 in the rest of the province. The loans will range from up to $7,500 to $14,000 (in HRM). The first-time buyers will have 10 years to repay the interest-free loan and payments can be waived for the first year to allow them to get settled in their new financial situation. These dollar figures may seem low because you’re used to GTA pricing, but in Nova Scotia, this interest-free loan will go a long way. The Down Payment Assistance Pilot Program will operate for a year. We’re looking forward to seeing the results!